Profitability of Singapore operations set to improve. Store restructuring, higher franchise revenue and lower shared expenses set to drive higher operating margins. Raise FY18-19F earnings by 5-7%. Upgrade to BUY with higher Target Price of S$0.50. 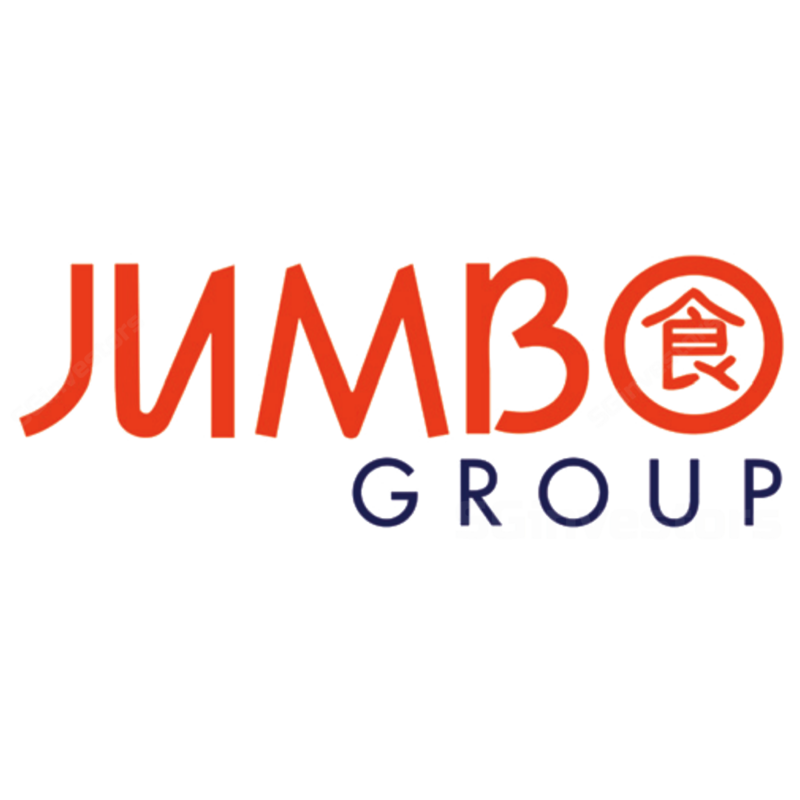 We turn positive on Jumbo Group Limited (SGX:42R) and upgrade our recommendation to BUY with a Target Price of S$0.50, as we expect the group to post > 20% earnings growth in FY19F after two years of decline. We believe the closure of lower-margin stores and opening of higher-end and higher footfall restaurant outlets would lift overall margins going forward. We also project franchise income to kick in following a slew of franchise outlets established in FY18. Furthermore, expenses incurred for its 30th anniversary celebrations in FY18 would also be absent this year. Lastly, the momentum of new store performance in Jumbo Seafood ION reflects a strong start. lower HQ expenses as mentioned above. Faster–than-expected outlet expansion, especially in China, and regional franchises are potential stock catalysts provided its cost structure does not deteriorate considerably. More franchise outlets should also deliver better growth once the number of outlets attains critical mass. The better performance of China outlets could also lift earnings. Pegged to peers’ average of 23x FY19F PE. We derive our Target Price of S$0.50 based on 23x blended FY19-20F PE, which is pegged to the peers’ average. Apart from operational risks, we see the failure to deliver growth in China as a key risk to our earnings growth projection. Singapore’s business is stable while the bulk of the growth is driven by China. We turn more positive on Jumbo Group as we expect a relatively better performance from Singapore outlets this year. FY19F would see the absence of low-margin stores, while adding higher franchise fee income and new outlets with higher footfall. This would lead us to expect its overall EBIT margin outlook to be 0.7ppt higher than before at 9.4%. The closure of lower-margin stores at Vivo City, National Service Resort and Country Club (NSRCC), and Katong would help to lift margins, while the opening of new higher end restaurant outlets earnings would help lift overall margins going forward. It made the decisions to close JPot Vivo City, JCafe and Jumbo Seafood at NSRCC, and Ng Ah Sio Bak Kut Teh at Tanjong Katong. These stores tend to have low margins and their closure would reduce the drag on operating profit. The closure of four outlets would reduce revenue, but the low profitability nature of these businesses would be earnings accretive once these outlets are off the portfolio. Based on annual differences in revenue, we estimate c.S$9m revenue loss from outlet closures. For JPOT Vivo City, we anticipate about S$1.5m absence of revenue, Jumbo NSRCC, about c.S$4.5m, J Café about S$3m, and Ng Ah Sio Bak Kut Teh at Tanjong Katong about S$0.1m. Assuming at 2-3ppt improvement to operating profit margin, operating profit would improve by c.S$0.2-0.3m or 2-3% of FY19F’s original PBT estimate. There is a shift of Jumbo NSRCC to Changi Jewel. This essentially swaps NSRCC’s low footfall to higher foot traffic at Changi Jewel. We see this as a net benefit for growth going forward as this move turns the NSRCC outlet into a more operationally efficient one. Besides, there is a natural captive footfall in terms of tourists at Changi Jewel compared to NSRCC. Jumbo Group is also opening another high-end restaurant at Far East Square for Chui Huay Lim (CHL), in April this year. There is only one Chui Huay Lim restaurant at Keng Lee Road. Revenue contribution is approximately S$12m, or about 8% of sales, higher than all the entire Ng Ah Sio Bak Kut Teh outlets combined. Assuming Keng Lee Road’s S$1,200 sales psf per year for Chui Huay Lim Far East Square, revenue could reach c.S$10-12m per year when fully ramped up. Franchise stores’ contribution is starting to kick in, which we estimate at least S$0.5m of franchise fee contribution this year or about 5% of FY19’s original PBT estimate. Contribution of franchise outlets will be from Fuzhou, Bangkok, Ho Chi Minh City, and 3 Taiwan outlets – most of which were established in FY18. The new ION outlet is expected to do well following the strong momentum seen at its initial opening in December 2018. We expect ION to add around S$7m to revenue once it is fully ramped up. Margins are expected to be decent due to its favourable operating cost structure. We expect to see lower HQ costs from FY18 as well. Jumbo Group celebrated its 30th anniversary in 2017 and has booked expenses across FY17 and FY18. As these expenses will not recur in FY19F, we expect to see lower HQ or operating expenses on this front. We estimate expenses booked for such activities to be more than S$0.5m, or 5% of FY19’s PBT estimate. We are seeing a recovery for restaurants’ retail sales index in recent months. The consumer sentiment for restaurant sales has picked up in 2018 after four years of y-o-y decline. This can be attributed to the increase in real median gross wage of 4.6% CAGR from 2017-2018 compared to only 3.4% CAGR real wage increase from 2013-2017.
lower expenses from FY18 recognised for 30th Jumbo Anniversary celebrations, mitigated by higher start-up expenses at its new outlets of Chui Huay Lim and Changi Jewel’s Jumbo Seafood. Upgrade to BUY, Target Price S$0.50. We upgrade our call on Jumbo Group from HOLD to BUY on the back of our expectations of a return to growth trajectory, projecting earnings to post c.20% y-o-y growth. Our Target Price, which is based on 23x blended FY19-20F earnings, is raised to S$0.50.